Stony Brook’s Pocket Theatre presented two original staged readings for audiences at the Staller Center for the Arts on March 3 and 4, which were both written in response to cuts to the theatre arts program. The cuts were announced on June 22 of last year, in an email from Dean of College of Arts and Sciences Sacha Kopp, who recently revealed he will resign on July 1. The cuts affected humanities departments, including programs in theatre arts, comparative literature and cinema and cultural studies. The first play, co-written by Stony Brook alumnus Amanda Murphy and sophomore political science major Digby Baker-Porazinski, “It’s an Allegory,” took aim at President Samuel L. Stanley Jr.’s judgment in handling Stony Brook’s budget. The play revolves around a king, who, unsure with his own decision-making, decides to cut earnings from all different parts of his kingdom, including theater, which hints to the “allegory” portion of the play’s title. The king eventually has to deal with an uprising from the “Troubadours,” with help from the audience who was involved in the play by clapping and stomping in unison. The king then signs an agreement reinstating theater and everyone celebrates. The staged reading concluded with all the characters dressed like college students and walking away from the stage as Baker-Porazinski projected his final lines. 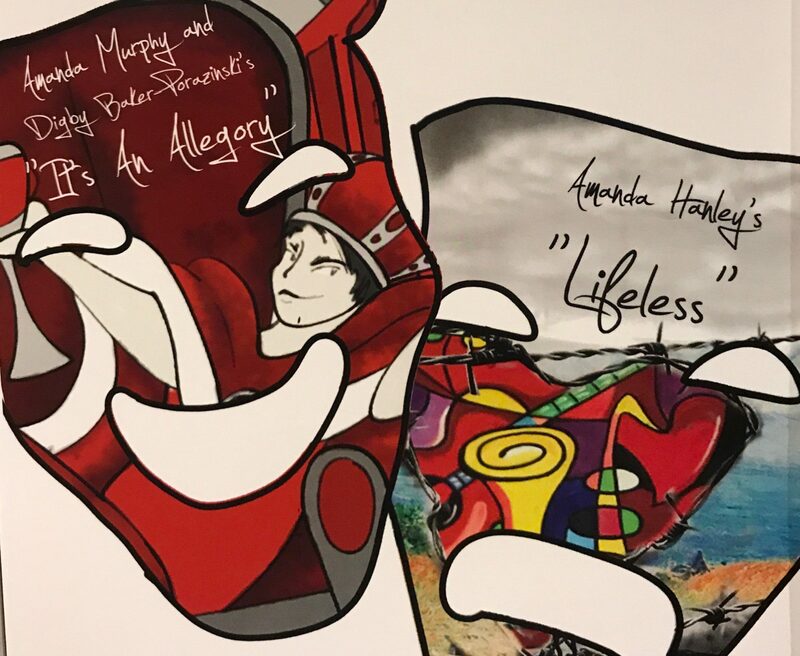 The other play performed was junior theatre arts major Amanda Hanley’s “Lifeless,” which depicts a world without fine arts. The arts were banned from the kingdom following the assassination of the queen while she watched a rendition of Shakespeare’s “Romeo and Juliet.” Any person who was found with art would be jailed and anyone creating art would be executed. The reading gave a look at what outlawing the arts could come to. The play featured an underground room dedicated to preserving fine arts which Prince Ethan, played by sophomore English major Leigh Riley, and Princess Holly, played by freshman Emily Webb, eventually find and run into. In this hidden room, they find their mother’s violin and realize that their father banned fine arts because it reminded him of their slain mother. The conclusion of the story ended with the princess jumping in front of a child, who was going to be executed by shooting for her crime of drawing with chalk. Realizing his mistake while visiting his daughter, who is in a coma from being shot, the king begins to play the violin that his wife once owned in the hospital. Princess Holly awakes to his playing of the violin. But shortly after, the King is shot down by a terrorist for using an instrument of art. As a result, the King is left paralyzed. Prince Ethan then takes over the throne under his father’s orders, where he reinstates fine arts and apologizes for the wrongdoing of his father. The ending displays a metaphor for how the world really should be: no punishment for expression through art and the freedom to pursue it. Throughout the night, it was clear how members of the performance felt about Stony Brook’s decision to cut the theatre arts major, as well as what theater means to them. Freshman biology major Alice Fomina, who played the role of the queen, mother and Barry, who ran the underground art reservation in “Lifeless,” said her time in theatre has forged strong friendships. Stony Brook’s Pocket Theatre will next perform “Urinetown” on March 30, 31 and April 1 in Theatre Three of the Staller Center. A previous version of this article incorrectly stated that junior Amanda Hanley is a biology major. She is a theatre arts major.